Supposedly, Ecuador has condors in the Andes, eventhough we haven't laid eyes on any, yet. But trustful as we are, we take them on their word. 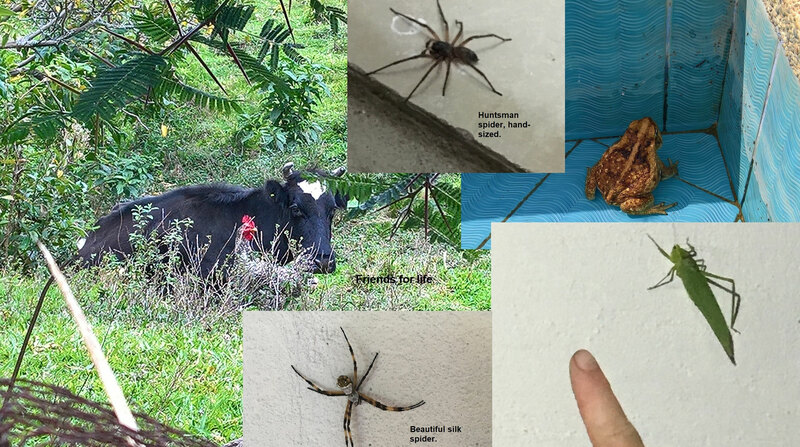 Other then those elusive condors, we have seen quite a few strange/unknown animals/insects in the last months. So we decided to make an compilation of what we have come across and what we will come across (so we'll keep adding to this blog). The first thing we came across, animal wise, was a sign 'beware, bear's crossing' (but then in Spanish) in the mountains near Quito. We feel sad that we haven't actually seen a bear, but to see the sign was a surprise; we had no idea there could be bears in the Andes. 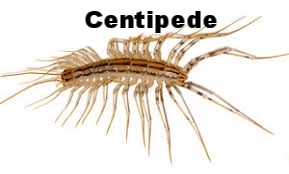 The second encounter (not counting the 'normal' insects that are just somewhat bigger here, or the incidental toad in the swimming pool and the very annoying sandflies, see pictures) was the centipede. Before I even knew what I was dealing with, I had an instinctive dislike and fear of it. The ones I saw were the size and lenght of a pinkfinger and were extremely fast. And the house was crawling with them. 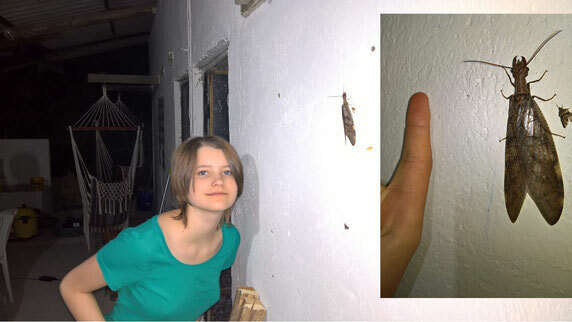 If I had seen one on the bedroom wall, I could not go to sleep, before it was killed. Later on I started to get over my fear (eventhough their bite is considered the most painful bite of all insects and it is a very aggresive predator by nature) and even found them beautiful with their amazing speed and control over all those legs. I have no picture of them, because they are too fast for that so I inserted a picture I found on the net. 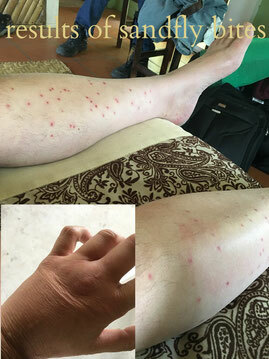 The third encounter was the strange insect on this picture. It was huge and looked alien and scary. We found out later that it could bite (good Mar didn't know, when she put her finger next to it...). A very nasty and painful bite at that... It lays eggs near or in wood and its baby's eat the wood. We knew before we came there would be snakes in Ecuador, as we knew there are snakes in Australia. If you've never lived in a country were you have be aware of wild/dangerous animals, it is very hard to imagine how you would live with them. In Australia we allready learned to live with them and I totally lost my fear of snakes there (and my fear of crocs. But not my fear of sharks...). 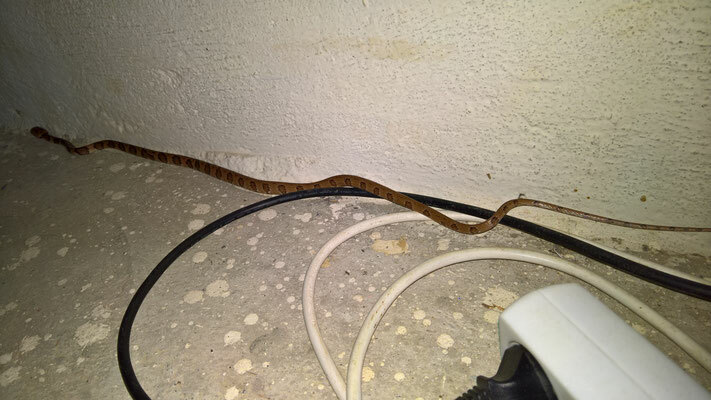 A redbelly blacksnake had its house in our garden and a python lived under our deck. It chased away our pet rabbit, which, from then on, lived in 'the wild'. I had respect for them, but no fear. I wondered when we would ever come across one. In the first week in Vilcabamba, already 4 weeks in Ecuador, we hadn't seen one yet. But then, one day, Bear had seen a ute stop in front of the place we were, a man with a machete got out and killed, on the spot, a huge python. We have to take Bear's word for it, because no one else saw it and the man drove off, with the python in the back. 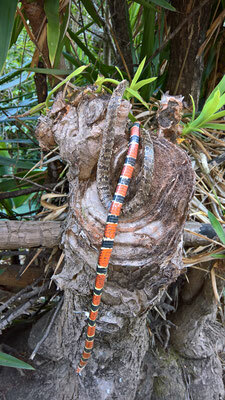 We saw a red coral snake (considered one of the most poisones snakes in this area) at our gate in Yangana. Someone had killed it, together with a brown viper and hung them both over a tree, next to our gate (picture). Locals got a shock on seeing the coral snake, because it is not immediately obvious that it is dead. But when Bear was visited one evening by a live snake, things were so much more interesting. The snake came to Bear, who was hanging in 'his' hanging chair on New Years eve and the snake came slithering behind him. It visited him twice that night. The rest of us also got a great chance to see him up close. Bear had no fear of it, was actually quite exited that the snake seemed to come to him twice. He followed the snake to its sleeping place. behind the house, under some wood. I have this feeling that seeing a snake 'means something'. Maybe I just like to derive meaning from things that are random. But I don't believe in random. And I must say; it makes life so much more interesting when you stop believing in random. In the case of the snake visiting Bear; I have the feeling it has something to do with a proces Bear is in. But that is a different subject altogether. Bear googled the snake and found that it resembled a mountain snaileater most. That reassured us a bit more, because Bear came very close to it and touched it a few times, because he felt it wasn't aggressive or dangerous. He has always wanted a pet snake and was considering this one as a pet. But this snake didn't seem to interested in being touched, so it wasn't a suitable candidate. Yes. 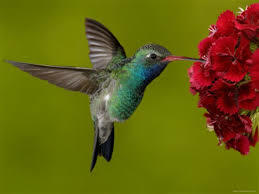 And then there is the colibri. We have seen plenty of them, but try to catch one on camera....we haven't managed yet. So this picture is stolen through google. It starts by hearing a strong 'buzzing noise'. First you think it is a bumblebee or a beetle (they are ENORMOUS over here) and then you realize you've just seen a colibri (they don't hang around as long as bumblebees or beetles). It makes me happy to see them, I don't know....it is the same as a sunny day; it just looks happy. But they are weird as well. They seem to live in another time dimension and are just barely visible. As if they go in and out of sync with this universe. It did not like it one bit that all the shade started to disappear. 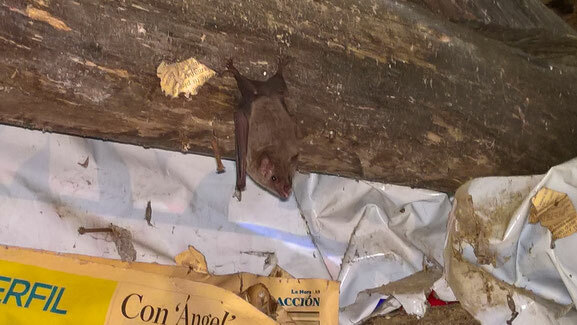 We know the poo of bats can be dangerous, so to reassure everyone back home; while demolishing we held our breath, so as not to breathe in any of the poo-dust.